Rich and diverse with striking natural beauty, Gippsland is blessed with some of the most unique and diverse natural landscapes in the world. Travel to Victoria's beloved Wilsons Promontory to discover a magnificent work of nature with secluded beaches and coastal forests set against the backdrop of the park's granite mountains. 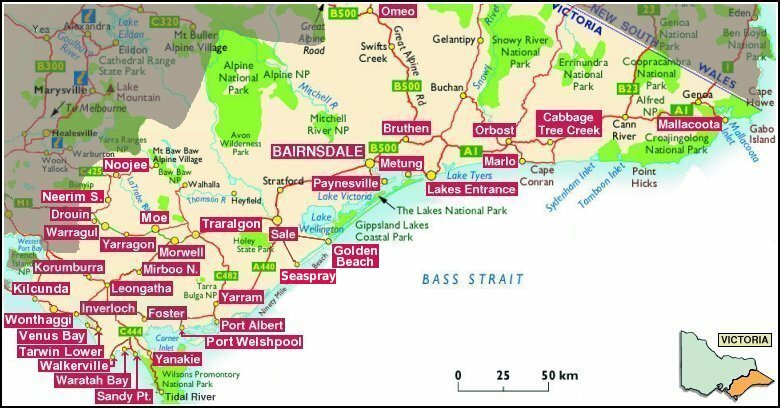 Walk along the endless expanse of Ninety Mile Beach, one of the most flawless stretches of coastline in the world.Further along the coast, take in the magnificent Gippsland Lakes, the largest and most beautiful network of inland waterways in Australia. Explore the renowned Croajingolong National Park and discover sandy beaches, rocky coastal headlands, lush rainforests and local wildlife.